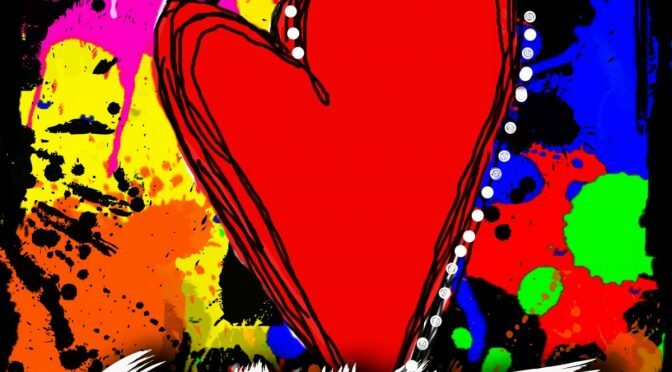 On June 29th, the International Program for Labor, Climate and Environment, in partnership with 32BJ, Trade Unions for Energy Democracy, and Rosa Luxemburg Siftung – New York, hosted a one-day climate summit. 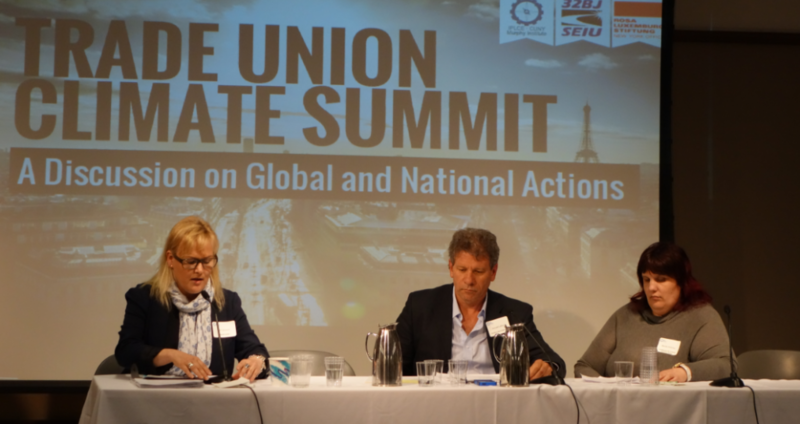 The summit brought together unions from the U.S. and 12 other countries for a day of discussion on the Paris talks and related actions; the international trade union movement’s program and strategy and the need to confront the ‘energy and climate emergency,’ and to hear how unions are linking climate protection to the anti-austerity and equality movements that are gaining momentum in different countries. 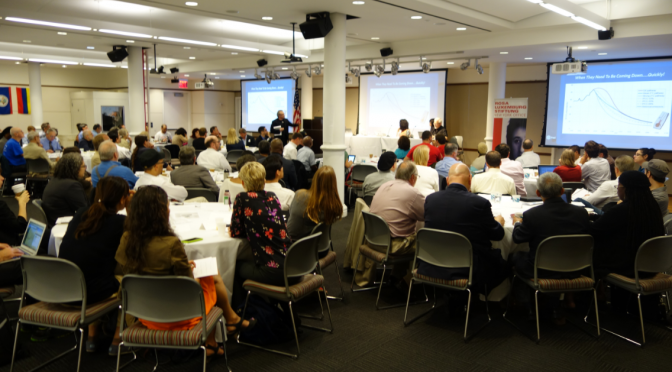 Check out these photos from the summit, courtesy of Rosa Luxemburg Siftung – New York. 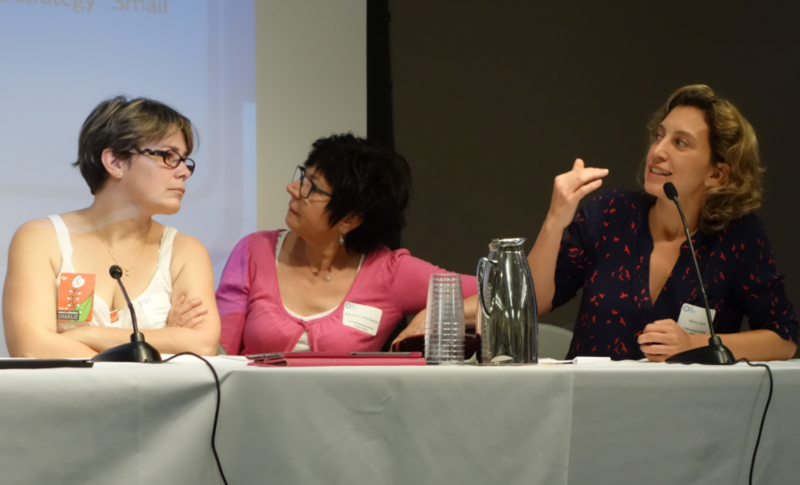 On this panel (from left) Sari Sairanen (Director of Health and Safety, UNIFOR), Donald Lafleur (Executive Vice President, CLC), and Mireille Pelletier (advisor, CSN-Québec) are optimistic about the power shift taking place in Canadian politics. 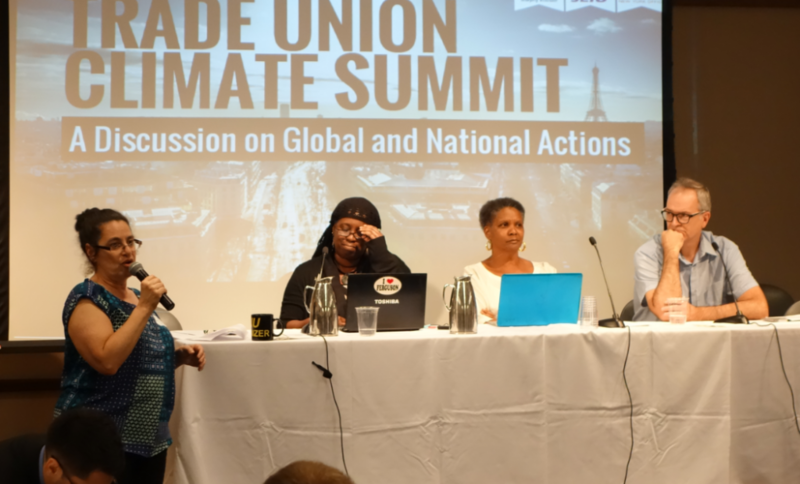 Maité Llanos (TUED and Global Labour Institute–Geneva) offers an overview of preparations for the upcoming UN climate negotiations in Paris while (from left) Fabienne Cru-Montblanc (National Executive Committee, CGT, France) and Marie-Christine Naillod (Policy Advisor, CGT) listen attentively. 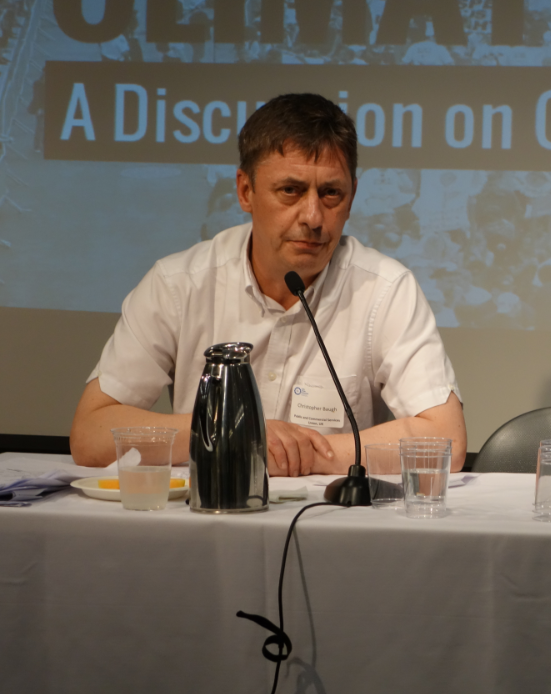 Chris Baugh (Assistant General Secretary, PCS, UK) facilitates a panel on the connection between the climate fight and the struggle against austerity and inequality in southern Europe. 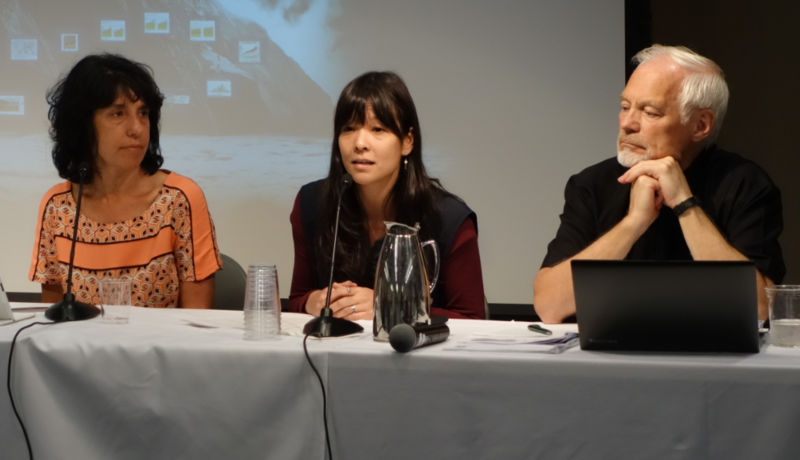 Wol-san Liem (Director of International Affairs, KPTU, Korea) discusses the need for a “programmatic shift” in international labor’s climate policies while Alana Dave (Education Director, ITF) and Asbjørn Wahl (International Advisor, Union of Municipal and General Employees, Norway) carefully consider her remarks. 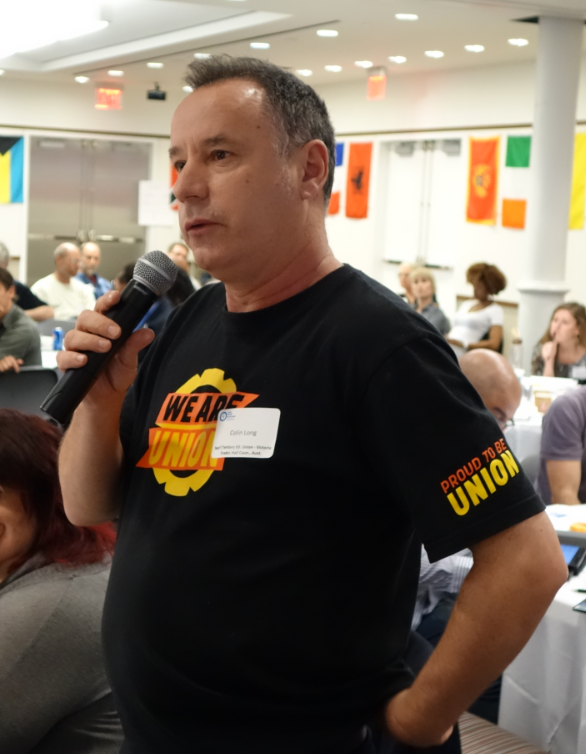 Colin Long (Victorian State Secretary, NTEU, Australia) poses a question from the floor. 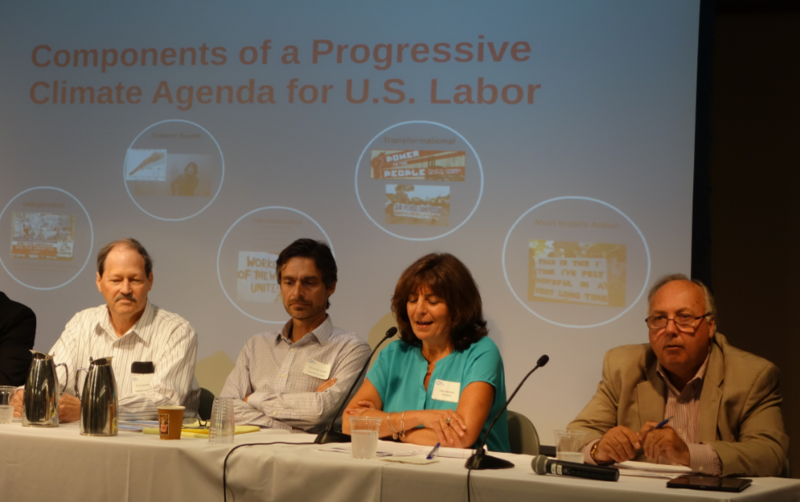 Judy Sheridan-Gonzalez (President, NYSNA) describes how her union has engaged members through climate education and mobilization while (from left) Bruce Hamilton (Vice President, ATU), Fernando Losada (Collective Bargaining Director, NNU), and Christopher Erikson (Business Manager, IBEW Local 3) join her in insisting on the need for the U.S. labor movement to take the lead in the struggle to stop climate change. Lenore Friedlaender (Assistant to the President, SEIU 32BJ) introduces three leaders who are building a new socio-ecological mass movement: (from left) Jacqui Patterson (Director, NAACP Environmental and Climate Justice Program), Denise Fairchild (President and CEO, Emerald Cities Collaborative), and Dean Hubbard (Director, Sierra Club Labor Programs). 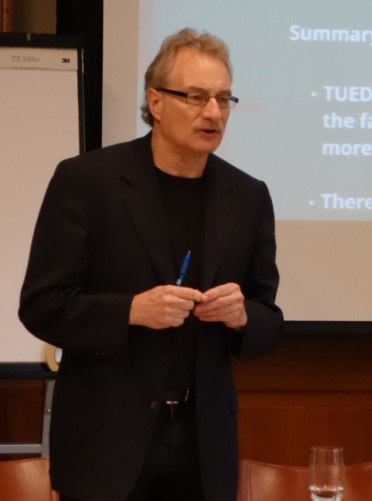 Sean Sweeney (Director, International Program for Labor, Climate and the Environment, The Murphy Institute, CUNY) gives a report on TUED’s progress.